We can see that symbolic powers, occult powers, and poetic powers emerge from the same source, the same depths. During the 1960s and 70s, British historian Dame Frances Yates astonished and perplexed the community of historical scholarship by her reasoned advocacy of the view that a highly significant factor in promoting the genesis of modern science and its representative the “scientist” was the Renaissance Hermetic movement’s veneration for the Magus. The Magus is concerned with extending his powers over all aspects of creation, even unto immaterial realms. In analyzing the life of Dominican friar Giordano Bruno in particular (Giordano Bruno and the Hermetic Tradition, 1964), Yates demonstrated how the opposition of the Catholic Inquisition created the idea of Bruno as a “martyr to science”--he was burned at the stake in Rome in 1600 as an impenitent heretic--when his actual views were regarded in the main as superstitious claptrap by many 19th-and 20th-century scientists operating on “Newtonian” lines. Rekindled in Florence after 1460, Yates declared the gnostic “Hermetic Tradition” stimulated the rediscovery of Man as a free-willed Operator in the universe, a co-creator with the divine, to whom no secret need remain hid. [. . .] Thus “occult philosophy” was not in fact “hidden philosophy”--the deliberate cultivation of esoteric obscurity--but revealed what had formerly been hidden to the eyes of the fearful and the ignorant; in another word, science, but science with esoteric and spiritual balls: Gnostic science was the vehicle of revelation. What is truly fascinating about developments in Paris in the 1880s and ’90s is that at the very time when many scientists had reached an apogee of materialist certainty verging on hubris--feeling themselves and their experimental methods utterly alien to the figure of the Mage who “dreamed but did not get real results”--yet at that very moment we find the Magus’s position as the desirable ideal and archetype being assumed not as the ideation of the scientist, but as the apotheosis of the ARTIST. The aim? That Art trump Science. New men will embrace the new religion, universal, already hidden in spiritual symbols, which, while the traditions and cultures around them might differ superficially, exist as one in essence. ". 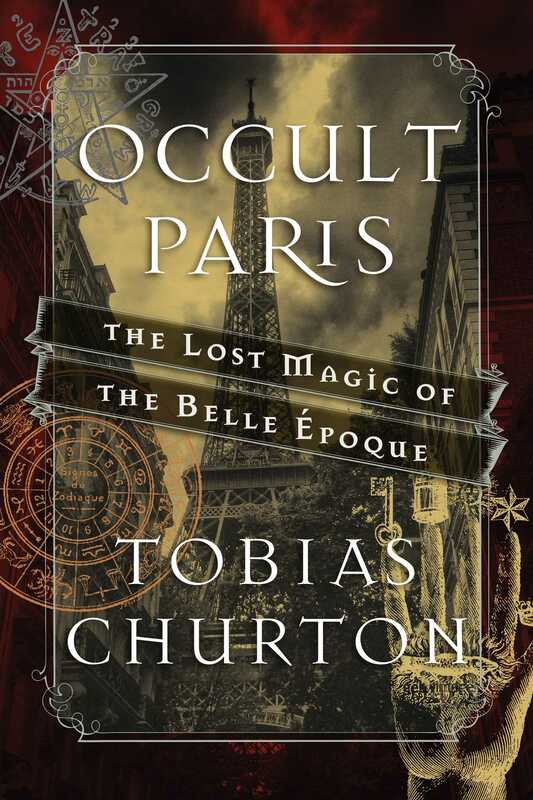 . . a massive, focused exploration of the relationship between the mystical and the creative. . .This entertaining volume will please fans of esoterica and the City of Light."